As expected, Google has released the December 2017 Android Distribution Report this week. The report reflects the version of Android on devices that visited the Google Play Store for the 7 day period ending December 11, 2017 and for those of you who keep track of this monthly report, you won’t find many surprises. With the exception of Android Nougat and Android Oreo, the two latest version of the platform, all previous version saw a decline or no change in usage from the November report to this one. Android Nougat grew some 2.7% in usage in that time, by far the biggest gainer. It now has a 23.3% share of devices coming to the Play Store but it is still behind Android Lollipop and Android Marshmallow. Marshmallow, version 6.x of Android, leads the pack overall with 29.7% of devices running that version. As for the latest version of Android, Oreo, it continues a very slow adoption on devices. It now is on .5% of devices, a jump of .2% over November. As expected with it being the first Monday of the month, Google has released the Android Security Update patches for June today. Like the past few updates, this month’s patch consists of two patches, one dated June 1st and the other June 5th. The first patch deals with broader issues with Android in general while the second patch is more driver or component specific. Perhaps the best news in this month’s update is the fix of a long standing Bluetooth vulnerability within Android. There are three specific fixes that are in this update which squelch the ability of malicious apps to elevate permissions. This issue has actually be in Android since the KitKat days. Yeah, a long time coming. With the March Android Security Update rolling out, February’s update is just now being rolled out by AT&T to some Samsung devices. 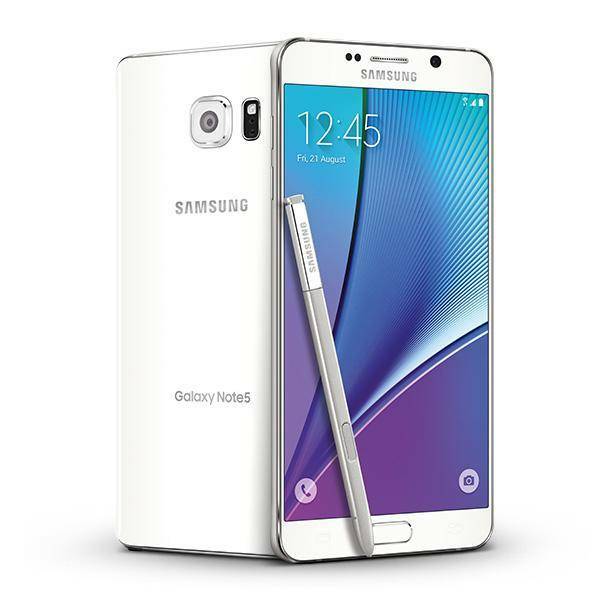 The update for the Galaxy Note 4, Note 5 and S5 Active are just now hitting customers. The updates themselves are quite small, under 200MB, and only contain the security update changes & fixes. To put things into perspective, T-Mobile released the February Android Security Update for the Note 5 on their network on February 1st, the day the patch was released. The challenge of upgrades and security patches is a well trodden road that we don’t need to visit yet again. But it speaks volumes of the problem facing the platform when one carrier is releasing a security patch some 5 weeks after it was originally released. Unless you just absolutely have to do so, I strongly encourage readers to avoid carrier locked devices from any carrier. Updates tend to be much slower from carriers while unlocked devices from manufactures, as a general rule, will get updates faster. That doesn’t always hold 100% true but close enough. Obviously devices from Google like the Pixel and Nexus phones get updates the quickest. While the ability to run Android apps on Chrome OS continues to roll out, the question for many is when or if it will be updated. The answer is yes and pretty soon. This week while attending Google Cloud Next in San Francisco, I posed the question to Chrome OS product management in a breakout session and it was confirmed that Android Nougat will be coming to the platform build 58 or 59. Given that it is already in the beta channel, I suspect that it is likely 58. As readers may know, Android Framework in Chrome OS currently is based on Android Marshmallow. So, in theory, if an app will run in Marshmallow, it will run on Chrome. The tricky bit has been that some apps can’t go full screen in 6.0 and features like multi-window support for apps is not something that is supported at all in Marshmallow. All of that changes under 7.0 obviously as the framework allows for it. After being exclusive to the Google Pixel phone lineup, Google Assistant is making its way to Android Marshmallow and Nougat devices starting this week. The news is certainly welcome. Google Assistant has expanded to being in Google Home, Android Wear 2.0 and Google Allo but for adoption to really take off, it needs to be on phones and not just the latest Google flagship. Google made it pretty clear which devices are going to see Assistant. First, it has to be running Android Marshmallow or Android Nougat. If you are running Lollipop or earlier, you are not going to get the update. Second, your phone has to be running Google Play Services. The vast majority of devices out there do run Play Services but you can check on your phone by going to Settings>Apps then tap the Show Systems option in the menu then scroll down and it (they are in alphabetical order). Assuming your phone meets these two criteria, Google Assistant will automatically be pushed to your phone via Play Services.